Eoghan Scott chats to Irish Actor, Aidan Gillen, whose career has recently been moving from hit series to hit series – and much more in between. 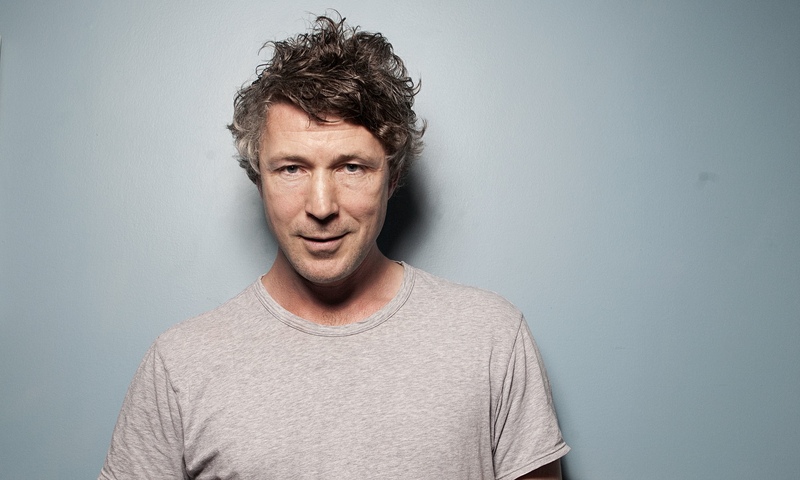 This summer, Triskel Arts Centre welcomed celebrated Irish actor Aidan Gillen (Love/Hate, Game of Thrones) to host a screening of his favourite films from the 1980s. On the bill for the evening were David Lynch’s iconic Blue Velvet, Francis Ford Coppola’s experimental drama Rumble Fish, and the Talking Heads concert film Stop Making Sense. It’s no surprise to see the classic Jonathan Demme documentary – heralded by Gillen as “probably the best concert film ever” – featured in the lineup; since 2011, Gillen has served as the host of RTÉ’s alternative music programme Other Voices. His love of music, unsurprisingly, originated from growing up listening to Irish radio in the 1980s. As for recent releases, Gillen says he’s a fan of the Drays’ new stuff. On screen, Aidan Gillen is perhaps best known to Irish viewers nowadays as criminal kingpin ‘John Boy’ Power in the acclaimed RTÉ drama Love/Hate. “Acclaimed” and “RTÉ” – words that rarely go together – are for once true in this case. Internationally, he’s famed for his turn as the calculating Master of Coin Petyr “Littlefinger” Baelish on HBO’s worldwide hit adaptation Game of Thrones. The truth is, most actors are lucky to inhabit even one such iconic role throughout their careers, whereas the Drumcondra native can boast not just these two impressive seminal characters but also his breakout role in the landmark British TV series Queer as Folk, as well as that of the ambitious Baltimore politician Tommy Carcetti in The Wire; frequently cited as one of the greatest television shows of all time. Despite seemingly managing to move at ease from one acclaimed role to another, Gillen asserts that his top priority is with always challenging himself and doing something new with every character. In January this year, Gillen starred as one of the most divisive figures in Irish politics, the controversial politician Charlie Haughey, in the RTÉ docu-drama Charlie. It was interesting to hear how he approached the portrayal of an iconic, public figure such as Haughey, in contrast to any of the numerous fictional characters he has played in the past. Outside of his celebrated TV career, Gillen seems to transition regularly between smaller indie dramas and mainstream studio blockbusters. Rather than having any particular preference, he appears to enjoy having the ability to pick and choose between such films. Writer/director Mark Noonan recently spoke about how chatting to Gillen’s mother at the premiere of Treacle Jr actually influenced his decision to write the part of Will in You’re Ugly Too specifically for the actor. He’s keen to discuss this new film, the indie drama You’re Ugly Too which has been drawing much acclaim and was recently a big winner at the Galway Film Fleadh. In the film, Gillen plays Will, a prisoner who is given early compassionate release to look after his orphaned niece Stacey. With his work on You’re Ugly Too finished, many Gillen fans will now be looking forward to his return on Game of Thrones Season 6. The show, having recently wrapped up what is undoubtedly its most controversial season yet, left millions of viewers across the world salivating for any small drop of information regarding the upcoming sixth season, which won’t be airing for almost a year yet (yeah, just let that sink in). Having been absent from the show for much of the last season, can we expect a big return from his character, the duplicitous and pivotal Petyr Baelish, in 2016? As expected (and with the possible threat of a massive lawsuit from HBO hanging over his every word), the actor gives nothing away. Game of Thrones Season 6 is provisionally set to premiere on HBO on Sunday, April 3rd, 2016.